This 3-bedroom villa for up to 7 guests is located in Chania Region and has a private swimming pool and. 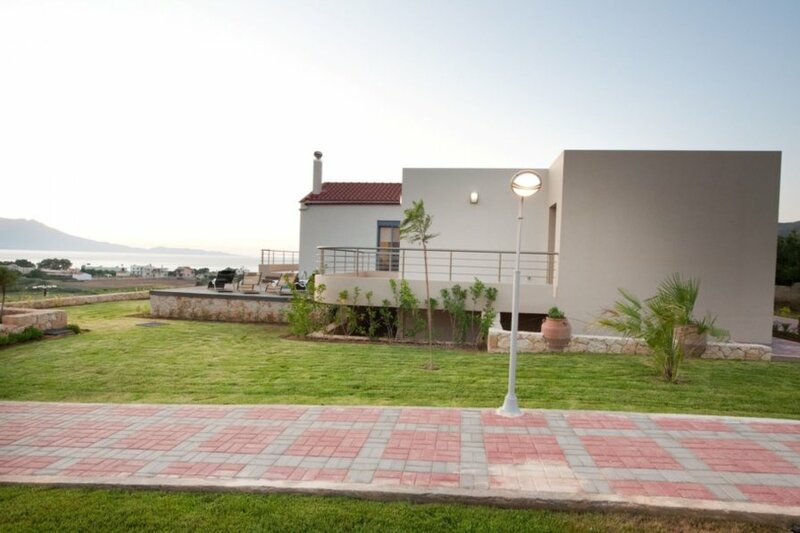 Nopigeia 35 km from Chania: Beautiful villa Pounendis, detached, built in 2011. On the outskirts, 300 m from the beach. For shared use: children's playground. Private: property 4'500 m2 with lawn, swimming pool with privacy (50 m2, 01.05.-31.10.). Linen change 2 times per week. Towel change 2 times per week. Room cleaning 2 times per week. Supermarket 4 km, shopping centre 4 km, restaurant, sandy beach 300 m. Nearby attractions: Kasteli 4 km. Please note: car recommended. Suitable for families, baby equipment on request (included).